M6iT | How to Sync Mac Desktop, Document with OneDrive OR OneDrive Business. Sync Mac Desktop, Document with OneDrive OR OneDrive Business. How to Sync Mac Desktop, Document with OneDrive OR OneDrive Business. Like most of you reading this article, you are probably using OneDrive as your cloud document storage but can’t force the desktop, document or other folders on your MAC to sync with it. This short tutorial will show you how to do that. Before going any further I would like to credit Chris Hoffman @ How to Geek for his article on how to use Symbolic Links. After reading his article we use the same method to force Mac personal folders to sync with OneDrive or OneDrive Business. Please read his article to better understand Symbolic Links. 5-10 minutes of your time. 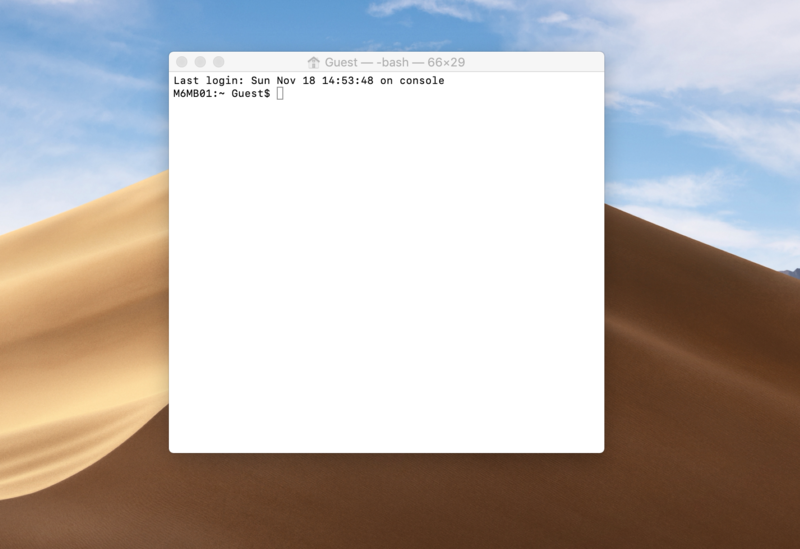 Press Command + Space, type “Terminal”, and then press “Enter” to open Terminal from Spotlight search. Whereas “username” is your account name. Note there is a space between the first (source) and second (Destination) patch name. Notice also the bracket in “OneDrive – Company”, this is because OneDrive for Business may have your company name with spaces. If you type the path without the brackets, it won’t find it. So, add brackets if you have spaces in your path name. Another example with picture below.